Download a PDF version of this You Asked question and answer HERE. A: College is an option for students with dyslexia, but preparing for College, College Board (SAT) and ACT exams should start as early as possible in high school. • Meet with the 504 Coordinator or Special Education Staff to ensure appropriate accommodations are documented in your student’s IEP or 504 Plan. Sometimes students are given accommodations, but the accommodations are not documented in their plan. For example, students are allowed to use a calculator for math tests, but the accommodation of a calculator is not documented on the plan. • To receive college accommodations, colleges may require testing to be current and comprehensive and include testing scores. In most cases, this means within the past three to five years. Families should ensure all accommodations that a student may need in college are included in their current assessment report. Students in Special Education mustbe evaluated at least every three years (Triennial Assessments1) and student’s with 504 Plans may be re-evaluated in accordance with IDEA regulations2. Therefore, you can request the district to re-evaluate your student. • What if your struggling student does not have an IEP or 504 Plan? The first step in determining if your student has a disability and requires special education services would be to make a written request to the district for an evaluation. Review DREDF Sample Letters and Forms and ACT’s Policy for Documentation. • Schedule a meeting with the school’s Testing Coordinator to understand the process for each test. Plan on requesting accommodations for the exam(s) your student will take: PSAT/ NMSQT, ACT, SAT, PSAT 10, or AP Exams. • Assist your school’s Testing Coordinator and ensure your student will receive appropriate accommodations by gathering the necessary documentation (IEP, 504 Plan, Psychoeducational/Neuropsychological Evaluations). Describe the specific accommodations requested, and explain why they are needed. 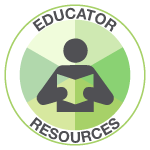 Include information about your student’s history of receiving school accommodations and current use of accommodations. > As of January 1, 2017, the College Board (SAT) will use a new streamlined process for requesting testing accommodations for students. The new review process means that the College Board is allowing automatic approval of accommodations in more situations. In most cases this includes students with an IEP, 504 Plan or a formal school-based plan at a private school. The school Testing Coordinator submitting requests for accommodations will only need to answer two questions: Is the requested accommodation(s) in the student’s plan? Has the student used the accommodation(s) for school testing? If the answer to both of the above questions is yes, eligible students can be approved to receive most accommodations on College Board tests. > The accommodations your student may be eligible to receive will vary based on his/her needs and situation. Review examples of College Board Accommodations. » The four-function calculator accommodation must be approved and is appropriate for students who have a disability that impacts their ability to perform mathematic calculations. > Because the SAT/ACT accommodation approval process may include a thorough review of all information provided, it can take approximately 2-7 weeks. The process can take even longer if a request for testing accommodation(s) has not been fully approved or if it requires additional documentation. > The student’s history of receiving accommodations in school is important in the SAT/ACT review of requests for accommodations. Teacher Survey forms can help substantiate a student’s need for accommodations when it is not listed on their plan. ACT Teacher Survey Form and College Board Teacher Survey Form. • If your student has an IEP, their Transition Planning Services must start by the time the student reaches 16 years of age and should be updated annually. The Transitional IEP3 should include appropriate measurable postsecondary goals relating to education and, if appropriate, college goals. • The PSAT and PLAN/Pre-ACT can help students determine the test that best suits them. The summer before Junior year, students should take practice SAT/ACT. SAT Practice Test and ACT Test Prep Resources. • Schedule to take the SAT and/or ACT. Ensure that the correct accommodations are in place every time your student takes the exam. Don’t wait until test day to find out that a necessary accommodation has not been requested! To be safe, students should bring their Accommodation Eligibility Letters to the test site. • By the Junior or Senior year, if your student has a diagnosed disability, but does not have an IEP or 504 Plan, it may be difficult to receive the necessary SAT/ACT accommodations. Meet with your Testing Coordinator and provide all relevant documentation. You can still make a request to the school district for a comprehensive assessment to determine eligibility for special education or under Section 504. It may be necessary to consult with an outside private evaluator. » Do provide detailed documentation supporting your student’s need for the specific accommodation requested, not only the student’s diagnosed disability. » Don’t rely on doctor’s notes or IEPs. These are not sufficient to substantiate a request for accommodations. Provide conclusive statements with supporting information documenting your accommodation. » Do provide test scores, including subtest scores, where applicable. • Fall of Senior year is the last chance to take ACT/SAT tests before regular college application deadlines. • English language learners (ELL) will have access to testing supports and extended time (if approved). For more information contact: Western Regional Office. • Starting in 2018, ACT will begin offering students the opportunity to take the ACT test in the summer. The first ACT summer test date will take place July 2018, increasing the number of national ACT test dates from six to seven. • Starting in the fall of 2017, ACT will begin providing supports on the ACT test to U.S. students who are English language learners (ELL). Refer to ACT Policy for Supporting ELL. For more YOU ASKED questions and answers click HERE.